California leads the nation in its innovative use of the initiative process. 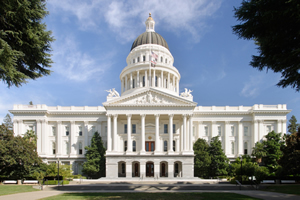 And, over the years, AGC has been involved with nearly every phase of California's complex and varied election laws. AGC's skilled and knowledgeable attorneys have represented clients in general and special elections, initiative measures, recall measures, public safety limitations, charter revision and amendment processes, tax and Proposition 218 issues and initiatives, land use and billboard measures, and card club referendums. Working closely with the appropriate election's official, the Firm has successfully guided officials through the complex maze of statutes, regulations, and case authority. AGC's attorneys understand the elements of all areas of election law and endeavor to advise its clients on how to avoid costly, divisive election disputes. Additionally, Mr. Alvarez-Glasman has served on the League of California Cities' Administrative Services Committee which oversees election law legislation and reform.